C Hotel Hacienda is situated in the heights of the Western Galilee, featuring mini golf, free parking, air conditioned rooms with minibar & coffee/tea set. C Hotel Neve Ilan is just a short ride from Jerusalem and half an hour from Tel Aviv. The hotel offers a convenience store, free bicycle rental & free parking. 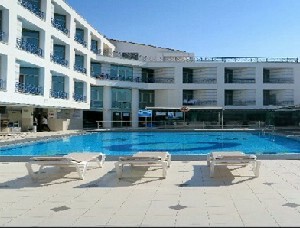 C Hotel is a step away from the promenade and the Sea Mall. The air conditioned rooms are appointed with TV, an electric kettle and a mini-fridge. We would love to have a coffee stand that is not connected to the dining room while we wait, we will be happy for the delicacies in the dining room for the little ones. We thought of upgrading to half a pan, but after breakfast we gave up. There were ants in the bed. The shower dispenser has only soap. It can not really be used as a shampoo and conditioner. The water in the pool was not clean and there were no chairs available for the meeting when I went down with my children. Delicious and fresh food, not enough variety. The dining room does not work long enough. The children's club opened much less than what was registered in the "Blue" which was distributed to us, the staff at the counter had no answer to this and wanted to compensate us. Parking around and to enter the hotel there is an increase that does not feel like walking it .. and there is not always room to shop. However, the price was fairly fair in relation to the return. Breakfast was good and we were disappointed at dinner. And it is important to note that in general we enjoyed and thank you very much. 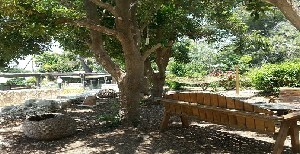 C Hotel Hacienda is situated in the heart of the North west galilee natural views of the green. The hotel's beautifully landscaped facilities are constructed to provide a magical feeling to visitors as the giant shamrhabim offer a variety of entertainment options for the whole family. At CHotels we emphasize especially the culinary theme just the way I like, and every meal is a celebration in itself and absorbs the flavors of the visitor are simply amazing. The area is a nature reserve Miron where you can find natural forest plant species and flowers to Israel, which are also found in graves to which Miron tend to get followers several times a year to fall on the graves and ask a blessing on them can be found the tomb of Shimon bar Yochai and the tomb of Rabbi Meir Baal haness which tend to attract many followers throughout the year and especially in the legs which cannot get close to where most of the visitors.CBS, you can also check the prices with the laptop and check out special promotions and deals a little pen.